Sometimes you just have a load of random stuff that you have to share. Stuff that doesn't really fit anywhere else so you just chuck it all in one post. We went to a fundraising quiz for the Royal Society for the Blind on Friday night. Out of 15 tables we came 6th so not a totally disgraceful effort. Through the night they had pop quizzes and I won one of those. Sadly the question was about reality TV not some significant world event. Nice to know that my questionable TV viewing habits have finally paid dividends. And for my efforts I got this adorable guide dog puppy. There were real guide dogs there on the night and I had to keep telling Mr. P they hadn't been provided so he could play with them. Just a tip : If you drink wine at a quiz night your knowledge will diminish in direct proportion to the amount of wine consumed as the evening wears on. On the up side - the importance of winning will decrease proportionately based on the amount of wine you drink as the evening wears on too. I finished the top for the baby quilt over the weekend. I'm piecing a back for this quilt so it's reversible and that's where some appliqué and trapunto is going to come into play. The fabric line is "Peak Hour " by Kellie Wulfsohn. So cute for a baby boy. I love those big splashes of colour. The inspiration for the front came from here because I'm not clever enough to think of something so simple yet so pretty on my own. The final 8 shirt blocks are done. The last stitch in the 8th one was accompanied by the sound of trumpets and angels singing the chorus of "Hallelujah". I'm so glad to get to the end of these because I've been seeing 2.5 inch strips of old shirts in my sleep. Now I can go back to dreaming about how I'm married to John Cusack. I'm quite excited about laying these blocks out and seeing how it all looks. I got a delivery of American food yesterday from US foods. I had to get my Hersheys syrup fix for the month and I've been wanting to try ranch dressing. You guys have the coolest food. Cotton candy frosting! How you aren't all pinging off walls after breakfast over there has got me stumped. I ate 7 pieces of this stuff and was wide awake until after 1 am...WTF is in this stuff? It should be illegal. I'm planning on sending this home with Miss P next time she visits so she can deal with the fallout after Little P eats half the box. A friend of ours passed away Friday night after a valiant fight with cancer. Vale Mark- you were a true gentleman. Rest well. Love the baby quilt, gorgeous colours. Good to know rubbish tv is a winner - cute puppy. Nice shirt blocks, they'll look Smart all together. Very cute baby quilt, love those colors for a little boy. Congrats on getting the shirt blocks all done, looking forward to seeing your final layout. I never thought of American food as cool, fattening yes, cool no. Laughing with you on the glorious ending to piecing shirt blocks. But it will be loved and appreciated once it's all done and the pain is forgotten. My heavens, you have been busy while I've been gone.....well done, you! Are you bouncing off the walls yet? I struck gold, a local shop stocks, not on a regular basis, various canned/packet foods from the good old US of A, yippee. Not that I buy that stuff often, but at least I know there is a possibility that I can get it there if I need it. Hope you have finally come off your sugar high. Love the baby quilt, the fabrics are perfect for that design. Is that the second time you have used the word "trapunto" in a blog post? What has happened to you? I think you need to lay off the sugar. interesting about wine .. I'll have to keep that in mind. That baby quilt is adorable yet so simple. We just eat sugar all day long over here and then when we stop, it's time for bed. seriously. I think my breakfast is usually something sweet (donut or pastry), followed by candy at lunch, and then ice cream for dessert. I thrown in a little meat and veggies just to get a little protein and roughage ..
way to finish the shirt blocks. I know it's nice to come to the end of something like that. I'm looking forward to seeing how the shirt blocks turn out. It should be great. Haven't seen you turn out a quilt that wasn't great !!! Great win, lovely baby quilt and yummy loot. So sorry to hear about the loss of your friend. LOL! Just catching up...how I have missed you :) Love all the the very critical info here, and glad your tv watching has paid off! Oh I love the Baby you are so talented...you make the nicest quilts and you are so fast...I wish I had half your energie!!! Sounds like a fun Trivia night, well done on getting 6th place and winning a sweet little pup. Awesome baby quilt! 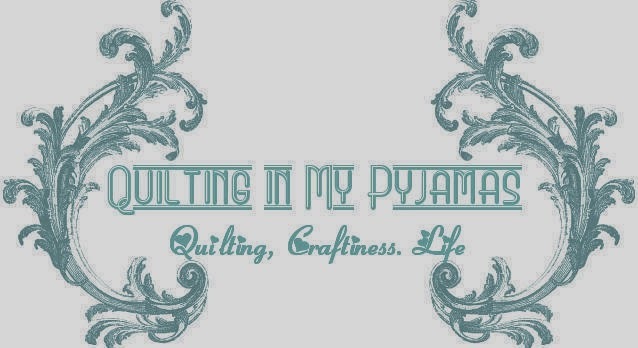 I totally love your shirts quilt, nice to see it progressing. I cracked up laughing at your John Cusack mention - happy dreams indeed. find it's doing your encephalon some upright, Wish a Webkins pet could be an choice. Everybody likes to perform motion-picture show games and particularly when profoundness MMORPG s, which volition really Help oneself to Work up the writing style fifty-fifty more than. Ben 10 online gamesGame DescriptionBen 10 Cavern website that allows your children to Recreate online games without worrying roughly their base hit. I'm so sorry about your friend. I've never had that Krave, or cotton candy frosting. 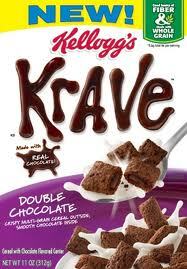 Is the Krave tasty? Still loving the baby quilt. And, congrats on the trivia night! Wow, your life is so exciting!!!!! I love the baby quilt and I'm intrigued by your plans for its reversibleness. The colors are amazing. I love your men's shirt blocks. I never dream about anything as good as being married to John Cusak. I'm always dreaming that I've forgotten my locker combination (though, why they have lockers in college I don't know), I haven't been to class all semester and it is mid-terms and I'm in a sweat. Then I go looking for a restroom to use on campus and can't find a single clean stall in the entire place. Stressed much? If you see John tonight, will you ask him to stop by here for a visit?